Picked up for my NSSSSSSSSSSSS.....SSSSS.....SSSS recipient! Hope you like it! Huge thanks and I’ll look forward to reading very soon! This is such a fantastic and funny book! 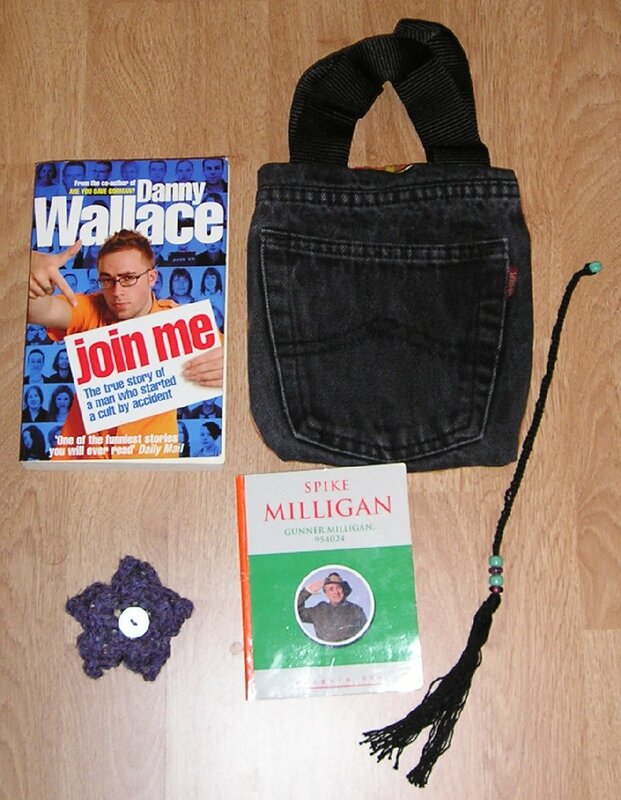 Danny Wallace writes engagingly and with honesty. The impetus for his "Join Me" Cult, sorry collective, is the death of his swiss great-uncle Gallus. After the war, Gallus had tried to form a collective of people to live and work on his farm, but only managed to find 3 people, and shortly after gave up the attempt. Danny decides to do something similar, in his Great uncles' memory, and advertises in Loot for people to join him. What's interesting is Danny's honesty and his sense of finding his way as he goes along. On one level, you could read this as a jokey movement, people joining up on the web and doing random acts of kindness every Friday. But as Danny realises, the 'movement' gives people the permission to do 'nice things' and all his joinees define their membership in personal terms. I particularly enjoyed all the mentions of Switzerland, and Danny's faith in the healing powers of a nice cup of tea! An excellent book! Many thanks again to Olliebear for this NSSSSS gift!